bring a large pot of water to boil and cook pasta until al dente. drain and rinse with cool water. in a large bowl, mix mayo, ranch dressing mix, garlic powder and pepper. stir in milk until smooth. 15 min. 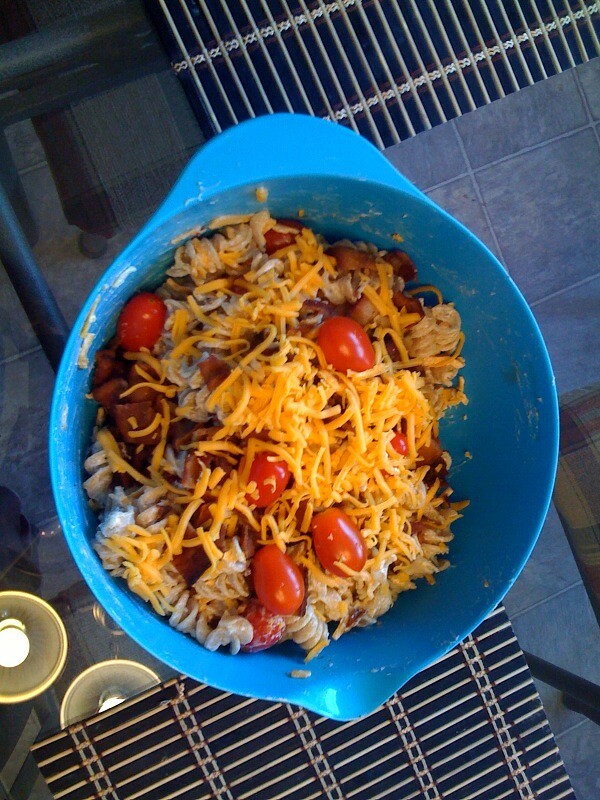 before serving, place pasta, bacon, tomato, cheese and coat with dressing. keep chilled until ready to serve. the whole wheat pasta is courtesy of tom… he’s a big fan!